This paper updates the research progress in investigating the relationships between information technology (IT) investments and productivity in Australia. Based on the production function approach, two empirical tests using two different Australian datasets were performed.  The first test focuses on productivity attributable to IT capital equipment at the aggregate level under the neoclassical economic theory. 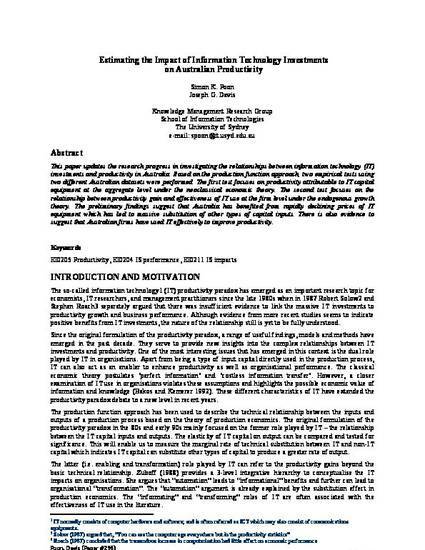 The second test focuses on the relationship between productivity gain and effectiveness of IT use at the firm level under the endogenous growth theory. The preliminary findings suggest that Australia has benefited from rapidly declining prices of IT equipment which has led to massive substitution of other types of capital inputs. There is also evidence to suggest that Australian firms have used IT effectively to improve productivity.